D&E Entertainment is a worldwide theatrical distribution and marketing company. It was formed by entertainment industry executives Doug Kluthe and Evan Saxon; a unique partnership experienced in the marketing and production of digital cinema events and innovative alternative content solutions in the groundbreaking digital format. The Los Angeles based company has been selected and entrusted to distribute documentaries or concert films by breakthrough and superstar artists including Tom Petty, Led Zeppelin, Pearl Jam, My Morning Jacket, RUSH, Iron Maiden, Sigur Ros, Bob Marley, Duran Duran, Eric Clapton, Ramones, Shakira and many others. 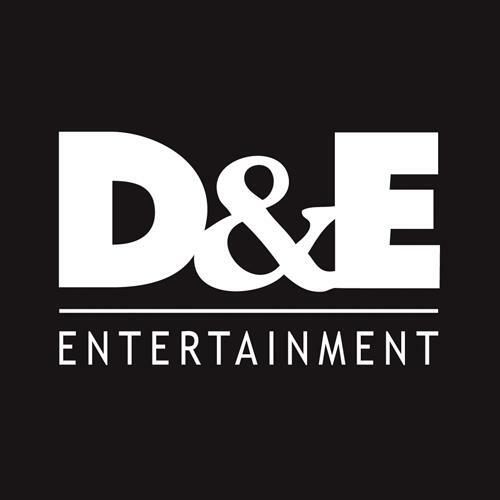 D&E has also managed theatrical campaigns for documentary and animated films such as 'Tattoo Nation', '$ellebrity', 'Cheech & Chong's Animated Movie', Rob Zombie's Animated film 'El Superbeasto', Jack Kerouac Estate's 'One Fast Movie or I'm Gone: Kerouac's Big Sur' and more. Documentary, Feature Films, Action, Drama, Horror, etc.